Student Exchange Programs are designed for undergraduate and graduate students and offer KIMEP University students an opportunity to spend either a semester or a full academic year at a partner university abroad. Exchange programs enable students to gain valuable international experience, make new friends all over the world, improve their English, and study other languages. KIMEP students may find the list of the international partner universities, the list of the universities offering student exchange places, the description of each university’s application procedure, costs, and the course transfer procedure for exchange students on the Student Portal. KIMEP University is a member of consortia that have won Erasmus Plus grants funded by the European Commission to implement its mobility flows. Students participating in Study abroad through partnership in a consortium (Erasmus Plus, etc.) for up to one academic year, without receiving a diploma from their host university, are considered as exchange students. Have finished the first year of your undergraduate program by the time of application (have completed a full 30 academic credits), or the first semester of a Master’s program (students in fast-track programs may apply immediately). KIMEP University aims to offer its students “a window to the rest of the world”. Higher Education Institutions abroad and KIMEP offer a number of academic mobility programs, some with scholarships, to their students, faculty and staff members for a semester or year to do research, training, internship or study. The programs aim to help students and staff members gain valuable international experience, acquire new knowledge and skills, support their professional and personal development, enlarge network, improve their English and study other languages, as well as deepen their cross-cultural understanding. Participants will have better employability competitiveness and could pursue their further education or work locally and internationally. The programs also aim to improve attractiveness and international dimension of KIMEP University. Exchange Programs – the process of transfer of students, faculty/staff members to another educational or scientific institution in the country or abroad for a short period carried out within the framework of inter-institutional agreements, with mandatory recognition of study period in the form of credit transfer/or professional qualifications back to their home institution. Students and faculty/staff members participating in the exchange program are exchange students/faculty/staff members and follow KIMEP University exchange program rules, published in its Academic Catalog. The program is administered by the International Office. Non-Exchange Programs – a non-degree study for a semester or a Summer School, outside exchange program, at a university abroad. The application procedure, requirements and the selection criteria, payment, rules are set up by hosting universities. Applicants apply directly to the host university. However, credits transfer from non-exchange programs is regulated by general rules published in the Academic Catalog. One advantage of being a KIMEP University student is to have the opportunity to study on Dual Degree Programs that KIMEP University has developed with leading world universities. These programs allow students to receive two separate degrees: one from KIMEP University and one from the partner institution. The principle of dual degree programs is that students complete some of their courses at Home University and the rest at the partner institution, with credits being recognized by both. The information on academic part of the requirements of the dual degree programs, course compliance and transfer, eligibility, selection criteria, etc. can be found from the relevant college’s program manager and college’s webpage. The International Office helps colleges with advice on logistic issues and liaise with partners for formalities of students’ application and other issues required for a smooth transition of participants to a partner HEIs. KIMEP signed agreements to get internship with a help of the partner university. The Internship program is administrated by colleges and its requirements should be fulfilled to be recognized by the home university. Exchange program offers KIMEP University students the opportunity to spend either a semester or a full academic year, or participate in a summer school at a partner university abroad in the frame of partnership agreement. Exchange students pay applicable tuition fees to their home institution if otherwise is not stipulated in the partnership agreement. They will be exempt from paying tuition, admission, and registration fees to the host institution. The exchange students are liable for travel costs, visa, accommodation, medical insurance, books and supplies, meals, and any other costs that may arose during their travel to/back from and stay at a host partner university. Student activity and other fees are paid according to a particular agreement. – Be a registered student at KIMEP University. – Have have completed from 30 upto 100 academic credits of a Bachelor’s program by the time of application, or 12 academic credits of a Master’s program (students in fast-track programs may – – apply immediately). – Have sufficient knowledge of English language (equivalent to 6.0 or above on the IELTS). – Have participated not more than once in the exchange program. – Do not have any disciplinary sanctions at the time of application. Students apply online and may chose up to 3 destinations in their applications. The KIMEP Selection Committee, composed of faculty members, evaluate applications and selects participants. KIMEP University and its partners sometimes offer a scholarship to support logistics of the mobility of their students and staff members. Mobility of students through partnership with external funding for up to one academic year without the award of a diploma by a partner is an Exchange Program at the University of KIMEP and is subject to all rules of the exchange program. Often, partner universities that provide financial support determine their eligibility and selection criteria. • vulnerable students (with special needs/orphan/from multi-children family, ethnic minority, refugee, discriminated) have an advantage. The Student Portal on KIMEP website and L-drive>International Mobility, and the Catalog are sources of information about the rules, international partner universities offering exchange places, description of each university’s application procedure, visa, course transfer procedure and payment, forms, application, Commitment of KIMEP’s Outgoing Exchange Student, and much more. Participants of the exchange programs must observe policies for exchange program which are published in the Academic Catalog and website. Erasmus Plus International Credit Mobility is an Action 1 under the broader Erasmus+ program to support education, training, youth and sport funded. Erasmus+ ICM funds academic exchange at university level between EU universities and universities from the Erasmus+ Partner countries. Since 2014 International Office, KIMEP University has applied and won more than 40 bids with EU higher education institutions for funding of academic mobility via Erasmus+ International Credit Mobility program. The program is funded by the European Comission. KIMEP students have the opportunity to participate in the exchange program and get a financial support, which partially covers transportation and living expenses for 3 – 10 months. Students need to follow the Course Transfer and Payment Policy for exchange program, as well as other internal rules for exchange program. Eligibility: Full-time KIMEP students who earned 30 – 100 credits by the time of application Bachelor and 15 credits for Master student; less than 12 months of stay during 5 last years in EU; no criminal records, no disciplinary cases, no behavior misconduct. It is strongly advised that students apply for the exchange program with an external grants only if students meet all eligibility requirements and the partner institution fits your academic background (major, specialization), level of study (Master or Bachelor). Selected candidates are recommended to the partner institution for the final selection. There are a partner’s selection criteria designated by the partner institution and include, but not limited to: GPA, English language proficiency (interview/IELTS), recommendation letters from academics; candidates must present the Learning Agreement with a list of courses to be transferred back to KIMEP. Participants have to cover all expenses related to tuition fees at KIMEP. Participants are awarded with a grant to cover living expenses, amount of which depends on a partner country and a duration of stay. Students will get the grant upon arrival to the partner institution by a few installments. Separate amount of the grant goes to cover transportation expenses, amount of which depends on a distance to the host country. However, the grant might not cover all your expenses. The participants sign a Grant Agreement with the partner university. It is the participant’s responsibility to manage the grant, purchase required insurances, books, pay visa/accommodation/student activity fees, deposits, etc. Some partners may cover visa fee and the participant needs to clarify it with the partner. We strongly recommend the participants to plan your budget and foresee expenses, expesially for the initial period of stay. Application does not guarantee the award with the grant. Those who will be awarded with the grant – will be selected for exchange program. Presentation is available on L-drive > folder “International Mobility” > “Erasmus + for student mobility” > “Erasmus + for KIMEP students”. In January 2014 the Council of Higher Education of the Republic of Turkey (YOK) approved KIMEP diploma recognition in Turkey. The equivalence procedure applies to KIMEP diplomas. It was processed by the provision of the Higher Education Law #2547, revised by Article 7/p Law #2880 under “Regulation of Equivalence of Higher Education Diplomas”, which was published in the State Newspaper dated November 6th, 2010. The recognition opened a door for cooperation in education between Higher Education Institutions (HEIs) in the Republic of Turkey and KIMEP in many ways. One of the ways is the Mevlana Exchange Programme. This program aims at the exchange of students and academic staff between the higher educational institutions in Turkey and abroad. More than 100 state universities in Turkey are approved by YOK for cooperation within this program. The Mevlana program is supported by YOK and students and faculty going to Turkey and coming to Kazakhstan for exchange will receive financial support, a partialy covering travel and leaving expencies. Students may study abroad for 1 or 2 exchange semesters and academic staff may lecture, do research, etc. abroad from one week to three months. Students and academic staff of any country origination may benefit from this program being hosted by Turkish higher education institutions and KIMEP. This increases academic mobility of exchange and degree students, as well as faculty members, influence the growth of number of joint projects and publications, summer and cultural programs, etc. Application procedure is done twice per year in early September and early Spring for the mobility in the next semester. The Ernst Mach Grant program is named after the famous Austrian physicist and philosopher Ernst Mach (1838-1916). The grant program is financed by the Austrian Federal Ministry of Science, Research and Economy (BMWFW). Students and young researchers from foreign universities are invited to apply for this grant to come to Austria for a study stay. KIMEP Undergraduate and Graduate students have the opportunity to participate in the exchange program and get a financial support, which partially covers transportation and living expenses for 4 – 10 months. Students need to follow the Course Transfer and Payment Policy for exchange program, as well as other internal rules for exchange program. 2) Accommodation, insurance – scholarship holders have to pay the costs for accommodation and insurance themselves. OeAD scholarship holders need to have health insurance that is accepted by the Austrian authorities for the duration of their stay in Austria. The OeAD can help with taking out such insurance. The monthly costs can vary, at the moment you should calculate 55 to 200 EUR (depending on your age, scholarship category and state of health). 3) Scholarship holders are exempted from paying tuition fees to the partner institution. 4) Scholarship holders from non-European developing countries will also receive a travel costs subsidy of max. 1.000 EUR. 5) Scholarship holders are not allowed to take up paid work in Austria while receiving an OeAD grant. 6) The recipients of grants will get the grant contract (Letter of Award and Letter of Acceptance) from the OeAD. The topics of the study programmes can roughly be summarized as follows: “Economics/Business”, “Tourism”, “Economics and Technology”, “Technology/Biotechnology”, “Media and Design” as well as “Health and Social Matters”. Bachelor students who successfully completed at least 2 full-time years of studies (credits taken by the time of participation 60-100). Master students – completed at least 15 credits. A grant can only be consumed oncein the frame of this program. FAQs: Please check our list of frequently asked questions regarding the application process and eligibility for this grant. International Office strongly recommends you to apply for the program only if it fits your academic background (major, specialization), level of study (Master or Bachelor). 1) full time students with GPA (from 3.7), 2) Motivation (impact on study, relevance to an area of study, outcomes), 3) extracurricular activity; 4) language level – B2; 5) students who has not benefited from an external grant program and a full scholarship at KIMEP have priority; 6) certificates of vulnerability – disabled from childhood (if allowed to travel) and orphanages from childhood have priority. A short list of candidates will be sent to the partner for their final decision. After being selected, please send an application package to the partner country in Austria, described in the Exchange Program Description for the partner. Get an Acceptance letter as exchange student. • Two letters of recommendation by university lecturers. For these letters of recommendation no specific form is required; they must contain the letterhead, date and signature of the person recommending the applicant and the stamp of the university / department and must not be older than six months at the time of application. • Confirmation of the home university that the exams passed in Austria will be recognized by the home university (e.g. a learning agreement). • Confirmation of acceptance as an exchange student from the University of Applied Sciences. • Scan of your passport. • Scan of a current Transcript of Records. I spent a fulfilling year studying at the University of Balearic Islands in Spain through the ERASMUS MUNDUS (CANEM II) program. I had a chance to get to know people from distinct cultural backgrounds, practice English and learn Spanish, travel, try local cuisine, have interesting talks, play guitar and fall in love with such a beautiful Mediterranean island. Whenever I encountered challenges on my way, I always reminded myself that this program has been my dream since the freshman year. You should try without being afraid of failures because an attempt is already a step forward! I am grateful for the International Office team and the Program alumnies who inspired and supported me during the whole application process. I got a truly enriching experience for a lifetime. BSC, Fall 2013 – Spring 2014I was a an exchange student at the University of Northern Colorado for the Fall ’13 semester. The semester, which was full of great experiences, has gone by pretty quickly and it was time for winter break. What do you do during study breaks when you’re an exchange student abroad? Right, traveling and exploring the region where you study. So I decided to go to California. It was a great experience overall but one thing stand out for me, I met the Hollywood producer Jon M. Chu who has been a producer of “G.I. Joe: Retaliation”, Step Up 2: The Streets”, “Step Up Revolution”, “Justin Bieber: Never Say Never”, and “Justin Bieber’s Believe”. How I met him? I follow him on Twitter, he posted that he’ll be watching his latest film which is “Justin Bieber’s Believe” on the premier date at certain time, at certain location not far away from San Francisco where I was at the time. The venue was quickly sold out. He happened to be a very nice and friendly guy. We were sitting on the same row. There were many Justin Bieber fans, including myself, and everybody was screaming, shouting, crying, singing, clapping, whatever. It was wild. One of the best movie watching experience. I’d like to thank KIMEP University for this incredible opportunity to go see the world and advise everybody to use it. MBA, Fall 2013I feel happy that I studied at SogangUniversity (Seoul, South Korea). I met so many new friends and also met many Kazakh students. That was nice to feel atmosphere as foreign student even for short time. However, I have to say that being as exchange and regular student is absolutely different. Studying in Korea as regular student much more difficult. Korea is the country with so kind of people and developed technology. However, being there I did not feel any discomfort. For those students who learn language and culture, SogangUniversity is nice place for studying. Also university is located in Sinchon, this area of youngsters with three university around there and so many places for fun and shopping and close to all sights of Seoul. That is how I move through life. In fact, we don’t live, if we don’t have dreams. There is nothing impossible, just work hard. My biggest dream was to study at the KIMEP University. And winning the scholarship, I proved to myself that dreams come true. For now, KIMEP is an essential part of my life. After a while, I knew about an exchange program that our university provides us. I chose US as an exchange country and won the contest to the University of Wyoming (UW).From the very first time I liked this university and made a lot of friends. UW was founded in March 1886, and at this moment about 14,000 students from all over the world are studying here. It consists of seven colleges and offers 190 programs. Because KIMEP is based on the American education system, I found it much easier to get used to their system. I set a goal ahead that within the study I will explore America. As my first exams ended I went to the meeting of Kazakh students that was held in Los Angeles, California. I had a lot of fun with my new friends. My adventures didn’t stop there. I have visited the most beautiful places in US. And I can talk non-stop about my trip. I am very grateful to my parents and my University for helping me to make my dreams come true. Dual Degree program provides the opportunity to study and receive two degrees, one from KIMEP University, and a second from a partner university. Students pay where they study. All programs have certain criteria, however, a student’s GPA for all programs should be above 3,67. Students wishing to receive two degrees need to consult their respective College’s Program Coordinator as earlier as possible. International Office assists in logistic issues. The Bang College of Business, the College of Social Science offer Dual Degree programs to KIMEP University students. IÉSEG School of Management is one of the top Business Schools in France, ranked 6th in 2012 by leading student magazine L’Etudiant and ranked 24th in 2013 by the Financial Times. Established in 1964 in Lille, the school has a second campus in Paris at La Défense, European biggest business hub. The School has a total of 3380 students on both campuses. More than 84% of IÉSEG’s faculty is international, and the School has a network of more than 200 partner universities in more than 51 countries. All Bachelors and Masters Programs at IÉSEG are taught in English. Through this program, students earn a Master in International Business from IESEG School of Management and a Master of Business Administration (MBA) from KIMEP University. 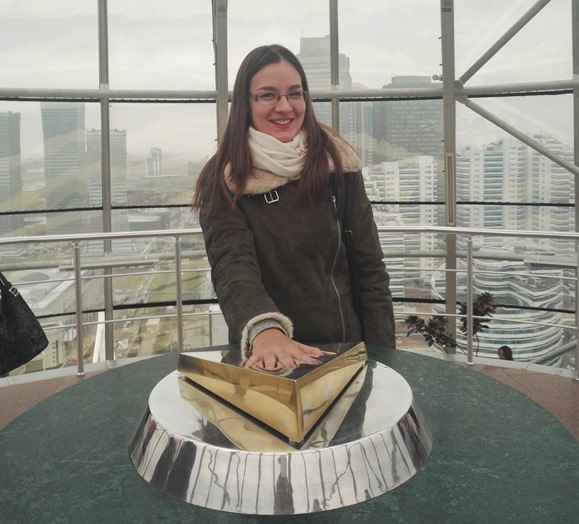 Students study the first year in Almaty and the second year in Lille (if they have less than 3 years work experience) or Paris (if they have more than 3 years work experience). For the second year KIMEP Unkversity students receive a 10 % tuition discount and there are a few scholarships available with tuition discounts of up to 50 %. On or before KIMEP University application deadline for the program starting at IESEG School of Management in fall of the same year. Application deadline: KIMEP University – 15 April, IESEG – 30 May. – Evidence of successful completion and/or in-progress status of 12 KIMEP MBA courses. Students study the first 3 years in KIMEP University in Almaty and the fourth (final) year in IESEG School of Management in Lille or Paris campuses and receive diplomas of both Universities. On or before KIMEP University application deadline for the program starting at IESEG School of Management in fall of the same year. Application deadline: KIMEP University – 15 April, IESEG School of Management – 30 May. – Completion of 48 credits of General Education and 27 credits of required business courses. Tuition cost in IESEG for one year – around 8,500 Euro. The University was founded in Berlin in 1810. The University covers all the major academic disciplines in the Arts and Humanities, in Social Science, Cultural Science, Human Medicine, Agricultural Science, Mathematics and the Natural Sciences. There are 11 faculties, 185 degree courses and 33,540 students in Humboldt University. As one of eleven German universities, the Humboldt University was chosen “University of Excellence” in June 2012. Through this program, students earn a Master of Science (MSc) in Economics and Management Science from Humboldt University and a Master in Arts (MA) in Economics (MAE) from KIMEP University. Students complete the first year in Almaty, and move to Berlin for their second year. During the year at Humboldt, dual degree students from KIMEP University pay no tuition. On or before KIMEP University application deadline for the program starting at Humboldt in fall of the same year. Application Deadline: KIMEP University – 28 February, Humboldt University – 31 March. German skills are a plus. – GRE test is required. Administrative fee in Humboldt University – 500 Euro for one year of study. ESC Rennes School of Business is considered to be the most international School of Management in Europe. With 91% of faculty members being non-French, 53% foreign students, classes in English and a network of more than 260 partner universities worldwide, Rennes School of Business gives the students a unique opportunity to learn in a continuous international environment from first year to graduation. – Supply Chain in ESC Rennes School of Business, France. 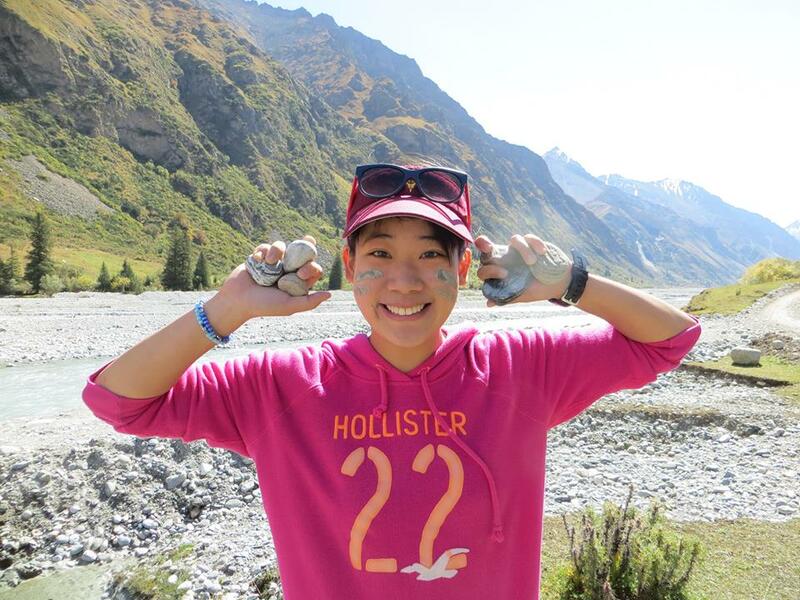 Students study the first year in Almaty and the second year in Rennes. On or before KIMEP University application deadline for the program starting at Rennes in Fall of the same year. Application deadline: KIMEP University – 15 April, Rennes – 31 May. b) Students should have a good level of English language demonstrated by an official test (minimum: IELTS 6.0, TOEFL 80 IBT, TOEIC 750), the score may be provided when available before the program at ESCR starting. c) 2-Year Master in Management (PGE) applicants should provide the GMAT test copy before the program starting. There is no minimum requirement, but the score will be studied by a case by case basis and be proved by ESCR. Tuition cost in Rennes for one year – the MA or MSc program tuition fees around 16,000 Euro. Master in Management PGE 2-year program tuition fees are around 10000€ per year. Yonsei University opened the door to modern higher education over one century ago. In 1957, Yonhi University and Severance Medical School merged to become Yonsei University. After the merging, Yonsei University grew to become one of the best universities not only in Korea, but the world. It became the driving force behind Korea’s economic and political growth, and it also continues to spearhead university education and research. GSIS is Korea’s leading professional graduate school of international studies. The dynamic and rigorous curriculum equips students with theoretical knowledge and practical skills necessary to excel globally, in the private and public sectors. Candidates must meet admission standards of each university, which may include academic records, language proficiency, research skills and aptitude for the program. The application is submitted to the program administrator at the home university by the end of November of the first year. Ø To have passed at least all the required courses for the first year as in the agreement (if the elective course the internship have not been completed yet by the end of the Spring semester, they must be taken during the summer 1 semester). Students who did not complete all the 8 courses required for the first year at KIMEP University according to the agreement will not be allowed to go to Yonsei University for the second year. All other expenses shall be born by the participating students, e.g. health insurance, accommodation, meal, etc. Students pay where they study. Students have access to financial aid programs on equal terms as regular students of the respective school. Please refer to the Program Manager at CSS for the detailed information on the courses to be taken at both universities, language requirements, and other conditions. The information center “Globus” was established in January 2013 and since that time has been located in the International office. It was designed to suggest information materials to all students and staff interested in academic mobility, to be introduced to KIMEP partners, their programs, countries, life, as well as getting an advice on the mobility procedures & requirements. Warm atmosphere and friendly attitude of staff members and peer advisers will help you make the right choice and, finally, benefit from studying and doing research abroad. Leaflets, books, maps, photos, application forms examples, etc, as well as 3 computers for e-information, online application to the programs, and 2 printers – are at your disposal. “Globus” has become a place connecting yesterday, today and tomorrow through mobility: we created the Erasmus & Exchange Alumni Club to catalyze the connection in the triangle Alumni – Students – Applicant of the mobility programs. Peer -advising system helped increase information on partner HEIs and improve applicants’ destination for mobility, give them tips on writing a motivation essay, cultural nuances and how to adjust to a new multi-cultural environment, share the positive impact on career and professional life, spread information on KIMEP international activity. All participants of mobility programs are welcome to join the club. “Globus” schedule depends on the peer assistants schedule, but is open almost all day. Such expenses, like meals, accommodation, transport and personal expenses are the responsibility of the individual student. At the end of the mobility period the Coordinator of incoming mobility will send their transcripts directly to partner universities. Tick for the Dormitory (Residence Hall) through KIMEP online application if you need it. Language proficiency (Letter from university/equivalent to IELTS 6.0). Select via online tool a room in the dormitory or apply for an off-campus housing. KIMEP University guarantees a place in the dormitory for exchange students coming from partner universities, if it is so stipulated in the agreement between both institutions. However, upon availability, the remaining places can be allocated to students who indicated this need in the online application form. Those who would like to live off campus should request an assistance in finding a flat (to live alone or share with other students). Visit Coordinator for incoming mobility who gives you the required documents and to whom you submit original certificates from your country. • Medical Certificate Form 086/y. A KIMEP car will be organized and a Buddy will accompany you. Visa Coordinator will give you a cheque for the Invitation letter and a student should pay in the Cashier office 118/Dostyk building. What is a required list of documents that I need to submit in order to apply for exchange program? Does the Coordinator of incoming mobility offer assistance with off-campus housing? The Coordinator of incoming mobility is your first contact at KIMEP. The Coordinator of incoming mobility is a liaison between the exchange student and other support units and will coordinate the Housing Manager to find off-campus accommodation for you. Where can I find registration procedure for courses? As Exchange students you have a few differences in registration process. Step-by-Step registration procedure is written in Exchange Student Guide which you will find in the information package sent to you by email after your home university nominated you. Also, on the Student Portal you will find a file with the detailed information for regular students. Do I have any support in airport transfer? Yes, Find the Airport Transfer Form on-line on the Student Portal, and apply minimum 10 working days in advance. A KIMEP driver with logo “KIMEP” will pick you up. Can I change my schedule, registration for or withdraw from classes at KIMEP? Before add/drop period finishes, which is the first week of classes, you can make changes free of charge. Any later registration or changes are allowed with a certain payment of fee. If a class says M, W, and F, can I choose which day to go? Or do I have to go all three days (Monday, Wednesday, and Friday)? We strongly recommend you to attend all scheudled classes. New material is covered each day and class attendance is very important for you. However, each professor has syllabi where attendance is indicated as obligatory or free. You need to be a full time exchange student: minimum & maximum US (KIMEP) credits per semester: 12-18. However, if you cannot find appropriate courses, you need to inform the Coordinator of incoming mobility. Should I submit any document after arrival to KIMEP? Upon arrival, submit original transcript, criminal record, bank statement, 4 matt color passport size photos to the Admission Office. Should I visit Visa Office after arrival to KIMEP? Can I Take books from KIMEP library and should I pay for it? For the books used for reading in the Libraries you do not need to pay. However, if you want to take them with you for a certain period (week, semester, etc) you have to pay a rental fee. Can I travel within and outside Kazakhstan and should I inform Visa Coordinator? International Students are allowed to travel outside Kazakhstan during breaks, summer and winter vacations. You can easily go in and outside Kazakhstan if you have the multiple entry Kazakhstan visa. Please do not forget to bring your passport to Visa Coordinator no later than 7 days before a trip to check your visa and local registration. If you want to travel to other cities in Kazakhstan, you should inform Visa Coordinator about your trip and dates. Do I need a local mobile phone number? You are strongly recommended to obtain local mobile phone number. Your Buddy may assist you to buy it. Please, for your and our convenience, give your phone number to the Coordinator of incoming mobility. Is it safe to walk late in the city and what about security on campus? Almaty is a quite safe city. However, as in any megapolice you need to be careful walking late or in the nights. We recommend you to attend clubs, cinema theatre, etc. with your local Buddy or friends, especially if you do not speak Russian or Kazakh. KIMEP campus is guarded 24 hours/7 days. There are cameras in many public places. However, keep an eye on your personal belongings, wallet, lap top, mobile, etc. on and off campus. Do not leave doors in your room or apartment unlocked when you outside. Upon your arrival you better inform your country embassy/consulate about your arrival in Almaty. In case you have lost your passport, immediately inform it as well as the Visa Coordinator at KIMEP. The embassy would be supportive in assisting you while your new documents are being issued. Can I go to mountains alone? IMPORTANT! No, you have to go to mountains in a group of other students or friends/Buddy. Always leave information when, where, with whom, for how long you are going to travel or hiking. Can I open a bank account in Almaty for my parents to make bank transactions for me? With above mentioned documents, you have to go to a bank Center Credit or Halyk Bank, located nearby, to open the bank account. Ask your Buddy to help you. Services to individuals – Monday to Friday: 09.00-19.00, closed Saturday, Sunday, national holidays. 2) a copy of passport. If your passport is not in Russian language – a notary certified translation of the passport to Russian. 4) bring a notary certified copy of the passport and application form (Appendix #8) to Public Service Center (ЦОН). Address of the Public Service Center: 44, Markov street, corner Timiryazev str. Is there any cultural event where I can represent my country and university? So you can bring with you national souvenirs, clothes or other things in order to demonstrate it in different cultural events. Can I study/improve Russian or Kazakh language at KIMEP? Yes, you can. You can register for academic classes or refer to the Language Center to find out details on schedule, costs, etc. Contact adviser at turgan@kimep.kz. Why not Kazakhstan? Before I came to Kazakhstan the first thing everyone asked me was ’Why?’. My answer was always the same ’Why not?’. Sometimes you have to challenge yourself and find a way to step out of your comfort zone. I think that is the only way you can discover new places, get to know new cultures and people, understand the mentality and experience a different lifestyle. The new friendships, the memories, the feeling of being a foreigner, the culture shock, and the good and bad things you come across are priceless, what’s more they are going to affect you the rest of your life. From the perspective of most European people, Kazakhstan is not so popular or familiar. Although it is the ninth largest country in the world, I personally think it doesn’t get enough recognition. During my stay in Almaty I have experienced the big city life and all the hustle it provides. However, we cannot forget about the beautiful panorama and the picturesque landscape that is all around us. Big Almaty Lake, Charyn Canyon or Tamgaly Tas are just a few natural beauties to mention. Not only is the country worth the visit, but also the university. What I most love about KIMEP is that you cannot get bored, as it always has something to offer. During the Country Days I could get a lot of new information about other nations, at the International Day I and my fellow Hungarians could show the typical Hungarian dishes to the audience, while tasting the delicious cuisines of others. First in my life I tried paragliding in a breathtaking scenery in the outskirts of Almaty. I have visited Kyrgyzstan and also experienced the ‘Astana-cold’ in the capital. One day I might come back to Kazakhstan, but until that I hope to see a lot of you in Hungary or anywhere in the world. During my stay here in KIMEP university, I was thankfully able to have 3 precious experiences. First, I was able to enjoy the abundant diversity. In this fall semester of 2016, there were various students of different nationalities that I have never met before. As I studied and enjoyed the semester with them, I learned how people of different cultures think and feel about the world. Therefore, I was able to enlarge my view of the world and different cultural boundary. 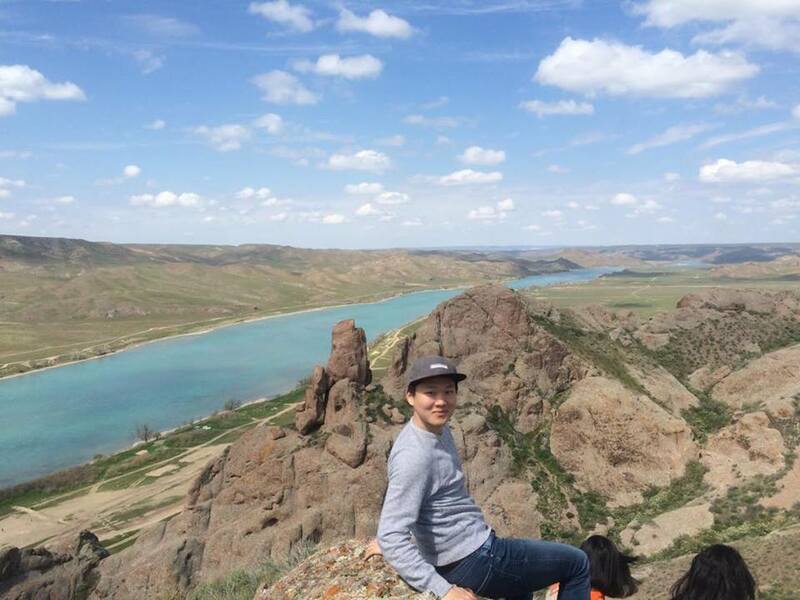 Second, I was able to enjoy Central Asia’s abundant nature. 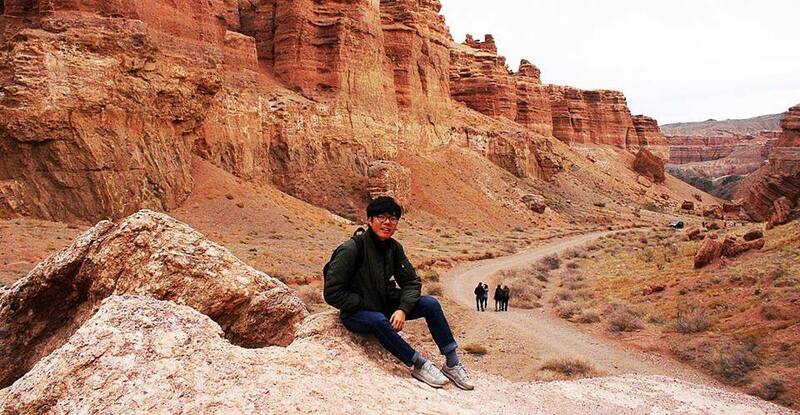 While staying here, we exchange students were able to visit many natural places of Almaty and even other Central Asian countries. Since Central Asia is not popular for travel at the moment, we did not expect that much. But there were so many magnificent sites that people should visit. And now I am greatly thankful to see those beautiful places because I decided to come here. Third, I was able to meet the future leaders of developing country, Kazakhstan. While I studied here, I was able to meet so many students who are very clever and talented in many skills. Luckily, I got an opportunity in studying with them, I became motivated from these bright students in KIMEP and I am very thankful for that. Besides these, I have so many other things that I am grateful for. There was never a time when I regretted in choosing this university for my exchange program. Thank you KIMEP University! My choice of KIMEP as my exchange student program was the best choice. To be honest, I was a little bit worry about studying in Kazakhstan because I did not know much about it, but it was just waste of time. My experience in Kazakhstan was the most precious one in my life. 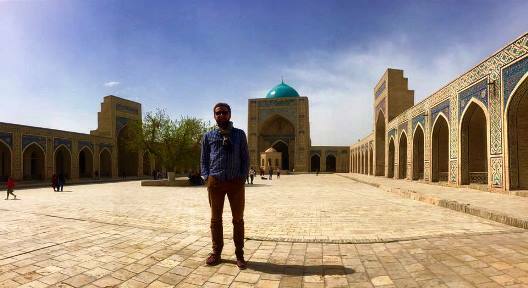 I traveled several Central Asia countries and it was quite unique and great. But the most meaningful memory was the time with the people. There were many students from many countries like Europe, Singapore, United States and etc. So, I made a lot of international students. My exchange at KIMEP has been clearly the best experience of my life. Kazakhstan gave me loads of possibilities to see, learn and travel in Kazakhstan and in Central Asia. KIMEP is a very interesting place providing a „modern way“ education in the center of Central Asia. The education is quite comparable to the western schools, however a school still barriers a style of „soviet“ education based on authorities within the school. One of the most significant problems within KIMEP is the lack of feedback towards the teachers and sometimes impossibility to disagree with the view of the teacher and have a better opinion which is very normal in all the western schools. However KIMEP still offers the best business education in Central Asia hosting professors and teachers from all around the world. Being an explorer from a developed city, Kazakhstan is definitely a novel wonderland for me. Comparing with Hong Kong, I prefer the simple life here. Having tea time on a daily basis is already a must for me. I really love this tea culture since I could chitchat with friends and share each other’s happiness and daily experience. Moreover, I enjoy every single moment walking on the roomy street in a slow pace. It is so relax for me to see the trees along the road and surrounding environment without blocking by high-rise buildings. The nature is also one of my favorites which can calm me down and refresh myself. When people ask me what impress me the most in Kazakhstan, the answer always comes to the PEOPLE. Honestly, I did not expect to experience my first inevitable cultural shock once I arrived, which was people here do not smile quite often. I thought that maybe they don’t like me. However, I was more and more surprised and enthusiastic day by day. I was pleased to stay with senior students in dormitory previously, the way they treated me was tremendously impressed. I have never met such generous and caring people who assisted me to break the language and cultural barriers by introducing me their culture and history, as well as inviting me to celebrate the festivals. I can’t forget the time my neighbors cooked me local food and gave me some local fruits that I haven’t seen. I have spent some time to really learn about Kazakhstan as well as Kazakh culture and lifestyle, and now I am falling in love with it. The people are always the reason why I like Kazakhstan. You all are really awesome, my dear Kazakhs, Tajiks, Uzbeks, Turkmens and other international students. Thank you for being part of my exchange journey! When I selected KIMEP university, people asked me why Kazakhstan and KIMEP University? At that time, I definitely believed that Kazakhstan will be different for a people who are used to live closer to the Europe. Moreover, KIMEP University is an international and best university in Central Asia. I had a really fantastic exchange experience starting from my study and learning a lot from my professors, learning Russian and Kazakh, traditions, cultures and many other things. 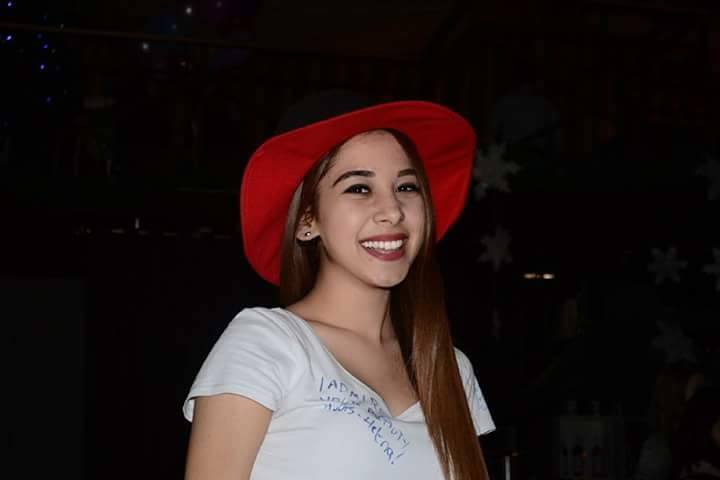 Every day I had a great chance to meet a new interesting people and what I observed that most of them was so friendly and always tried to help and support me in any situations. I will strongly recommend to get such an opportunity for all. Thanks for that opportunity and I will be waiting all my friends in Turkey! Exchange in KIMEP was about the most memorable time of my university life. 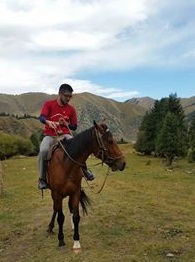 Beautiful mountains, rich culture, trying out horse riding and skiing, the Green Market, travelling within and out of Kazakhstan, there is so much to love about it. But the above all, it was the friends I’ve got to make in KIMEP that have made it all so wonderful. Although I had some initial concerns about adapting to the different culture, my buddies and the staff at KIMEP were ever so helpful to make things easy and enjoyable. From taking us out to the rural countryside to inviting us for a short stay their homes, my friends in KIMEP have allowed me a taste of the true Central Asian culture. I love it, and I hope to be back again soon! Students have an opportunity to study abroad in summer schools. You may do it to take courses, which you want to transfer back towards your degree or mere for personal development. It is your responsibility to bear all expenses (tuition, travel, living, personal, etc) and study well. Check information, application, payment details and deadlines, they vary for each university. For more details and updates visit websites of the host universities. Send your enquiries directly to the host summer school contact person given on their websites. If you wish KIMEP to recognize your study abroad results, before you apply to the summer school, please, consult your college’s Undergraduate/Graduate Program Manager for approval of the courses, as well as the number of credits to transfer back. They will recommend you the number of credits to transfer back given your academic progress, potential, etc. 1. Exchange Summer Program with aPartner University. The program is subject to regulations of Exchange program and agreement between partners. Please read the eligibility and selection criteria, regulations (GPA from 3.0, 30 credits, Passing Grade is 50% and more, etc). Read the Course Transfer and Payment Policy for Exchange program. The Application at KIMEP University opens along with Exchange Programs on January 10 till February 15. 2. Non-exchange Summer Program with a Partner/ Non-Partner University. Student pays tuition and other fees – to a Host University. Students communicate with and apply directly to the host university. Students inform Coordinator for outgoing mobility in the International Office about the studying abroad after being accepted there. Passing Grade is KIMEP 63% and more (read the policy in the catalog for the transfer of courses from partner universities but non-exchange program). There is a list of scans of approved courses taken in summer schools abroad on L-drive > International Mobility > International Summer Schools > “International Summer Schools_Approved Courses”. If a desired course is in the list – you do not need to undergo again the approval process. But make you need the same course to be transferred to designated course at KIMEP. For a new course approval, fill in the “Course Approval Form_Summer Program” (available in the same folder), attach its syllabus and submit to your college’s Undergraduate/Graduate program Program Manager for approval. Make sure you know the policy for transfer of courses from other universities in the catalog (from exchange program, from non-partner). You can transfer courses back ONLY if they were pre-approved by your college before departure.